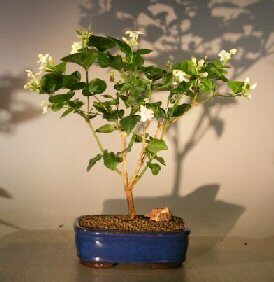 The flowering Arabian Jasmine is a bushy vine that we train into tree form. 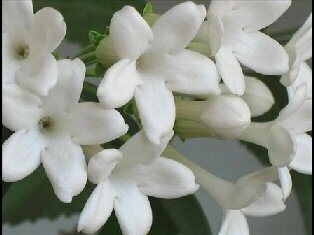 It has intensely fragrant white flowers, fading to pink as they age. Grown throughout the tropics as an ornamental tree and for its strong scented flowers. Does very well as a flowering indoor bonsai tree.